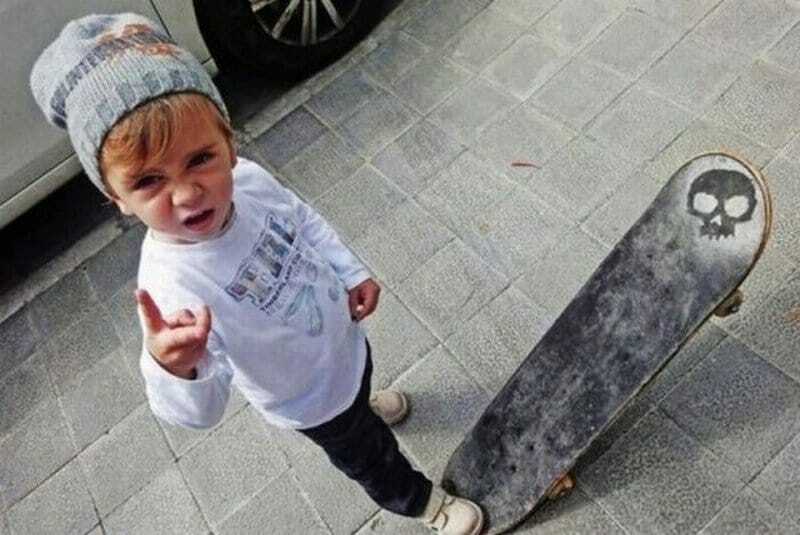 Everything checks out for this skater boy with a skull skateboard, long hair, stocking cap, and throwing a deuce up at the camera. The only thing missing is the boombox blaring rap music. 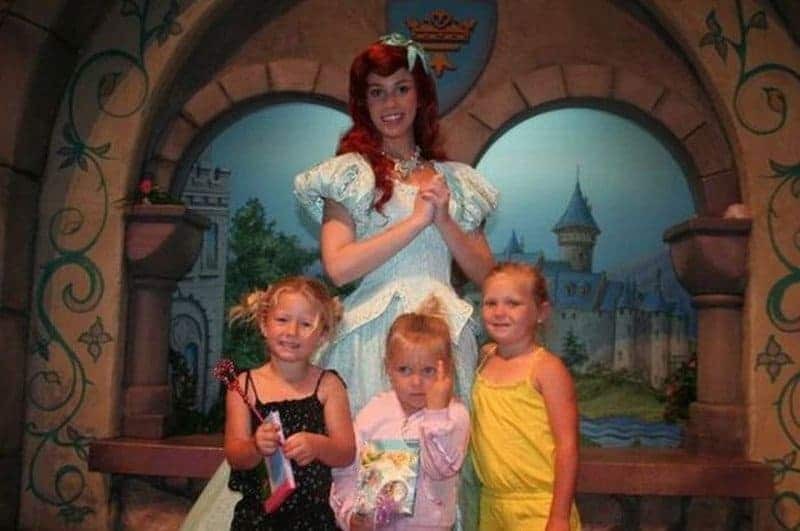 Somebody didn’t really enjoy having their picture taken with a group of other kids and a princess behind them. We’ll assume she has a similar stance on fairy tales. The person taking this picture deserves a gold star. 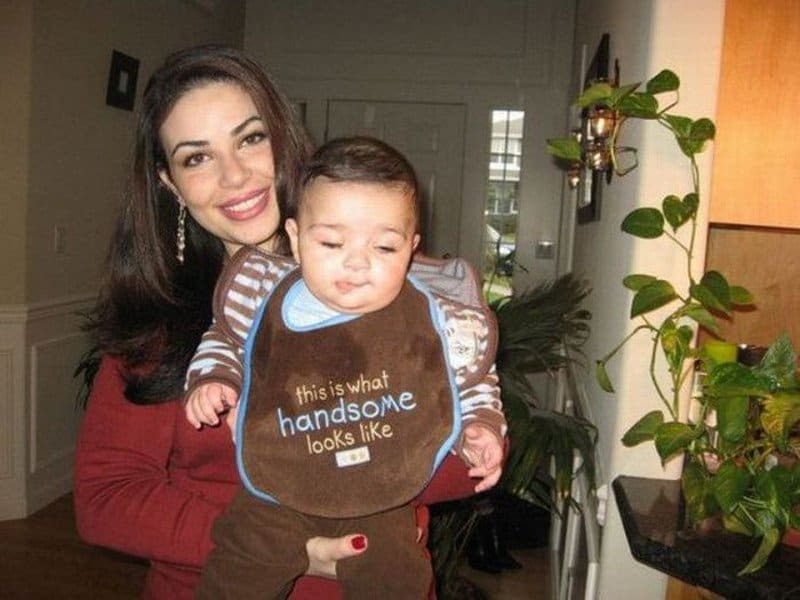 A perfectly-timed snap created the irony between this baby’s mushed face and his bib. 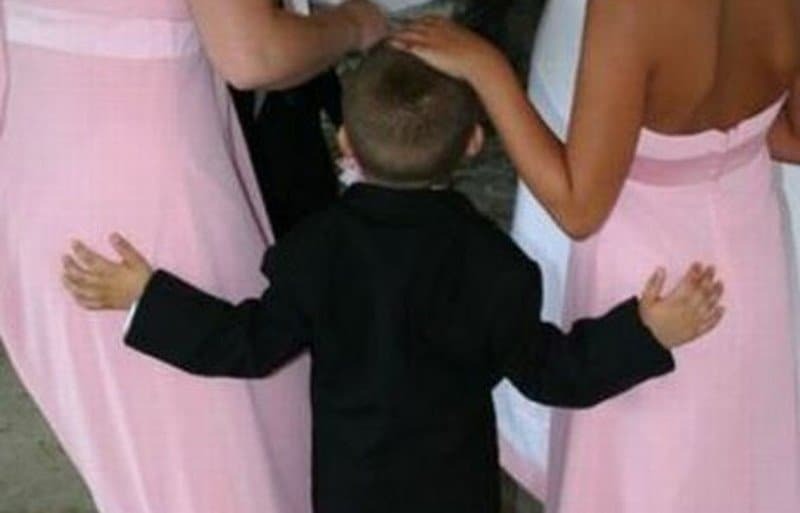 Girls are always a sucker for a man in a suit, and this guy didn’t waste any time trying to pick them up. Easy, fella. It’s best not to be too greedy when the dating life begins. 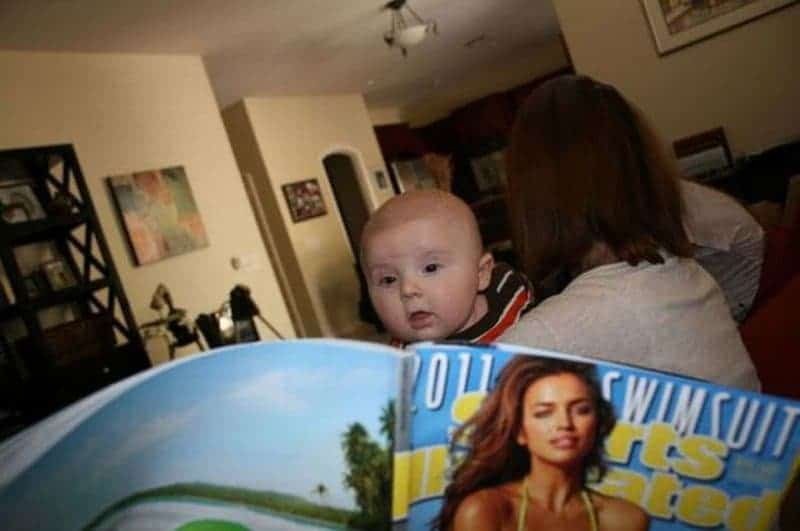 Somebody’s getting an early glance at some hotties in the swimsuit issue of Sports Illustrated. 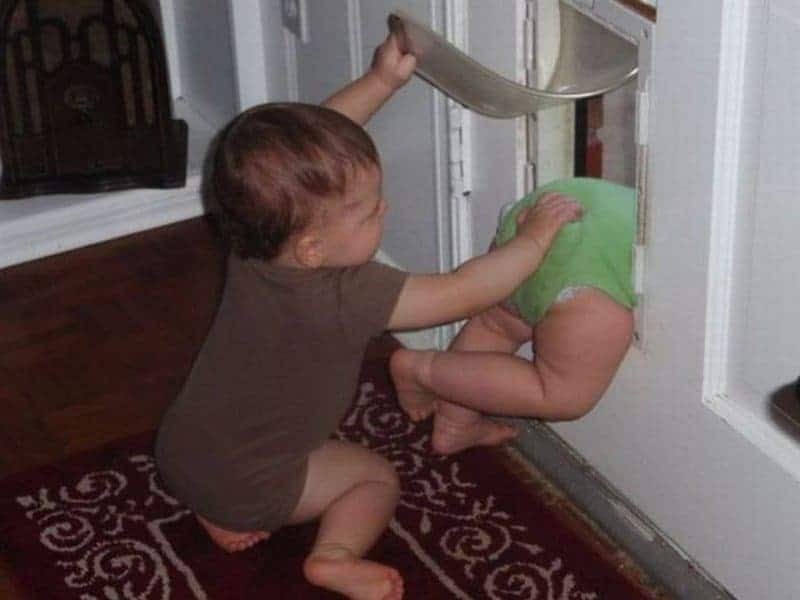 However, it’s easy to tell that a clever dad was up to some tricks. 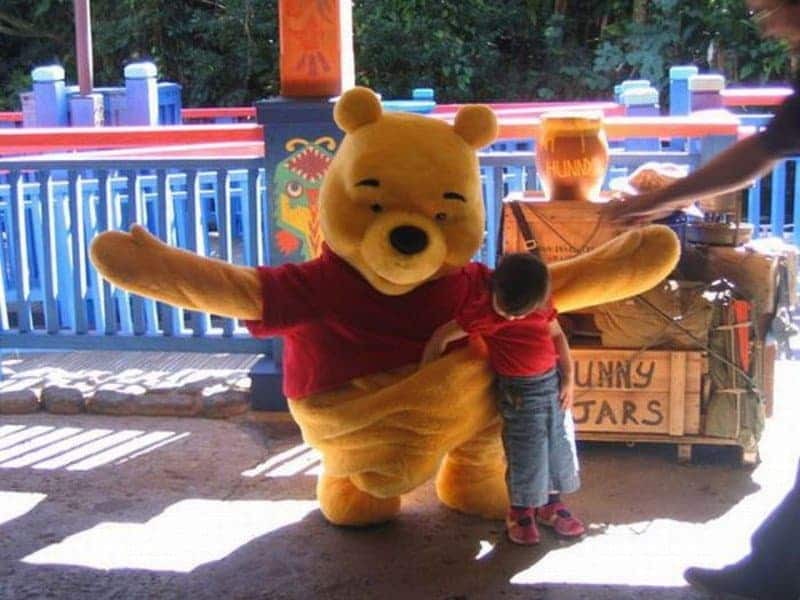 Winnie the Pooh got more than he bargained for in this photo op with a very curious kid. Maybe it’s finally time to wear a pair of pants at these events. 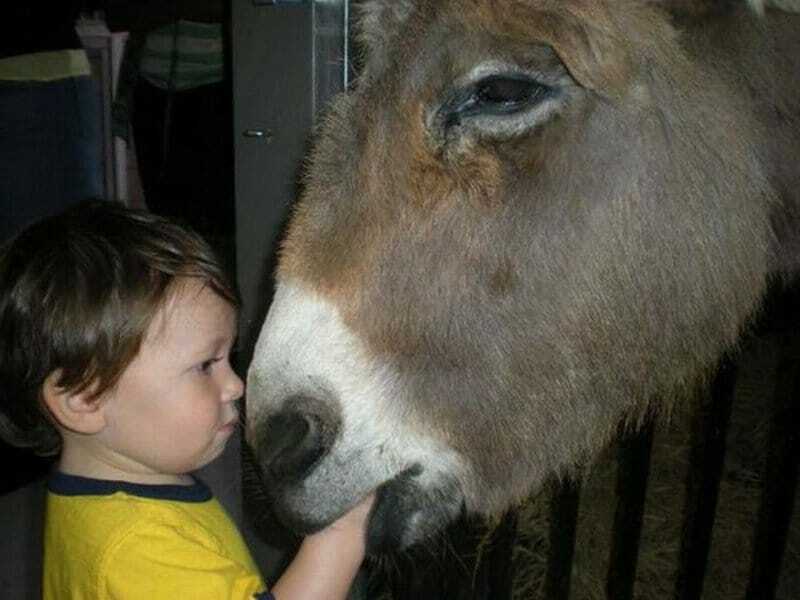 This kid looks like he got a little too curious while looking at the donkey. That, or he pet the animal the wrong way and now the donkey plans to have him for dinner. 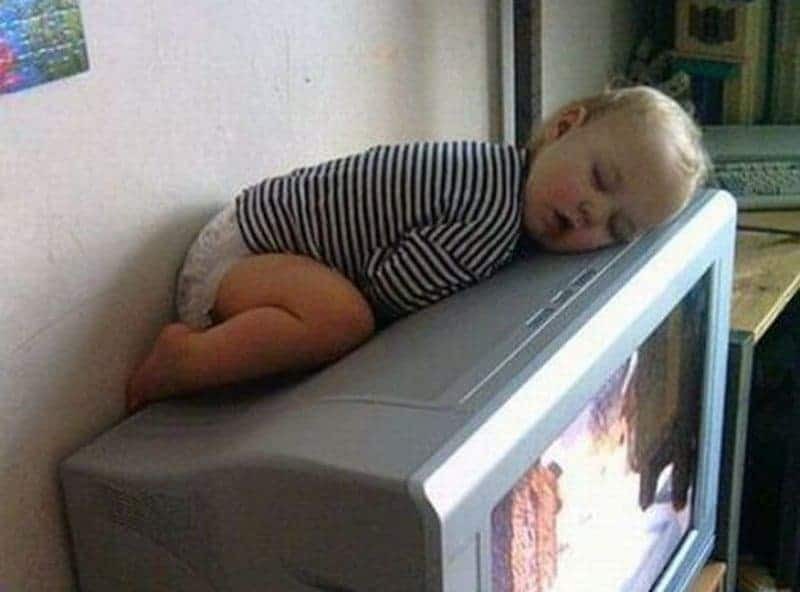 It’s not out of the ordinary to walk into the living room and see a cat sleeping right on top of the TV — assuming not all of them around the house have been upgraded to high definition displays. However, it’s pretty odd to find a baby make their way up one.